Today’s Gospel reading from John 21:1-14 shows the resurrected Jesus on the beach with his disciples, who don’t immediately recognize him. He directs these weary fishermen who’d been fishing all night in vain to cast their nets on the right side of the boat. They subsequently fill their nets to overflowing with 153 fish! Jesus is meanwhile cooking up fish and bread for them over a fire on the beach, and invites them to breakfast. John’s Gospel specifies that this was the third time Jesus appeared to his disciples since he was raised from the dead, making me long for new encounters and think back to recent ones. In mid February Gracie and I went on a vacation to Maui with two other couples and a three-year-old. Late one afternoon I left the group on the beach, feeling a pull to walk and pray. A few minutes down the beach I ran straight into a make-shift tent. A guy invited me in and offered me a hotdog and a drink. He said he was from a local church, and that their pastor was out surfing and would be out of the water soon. 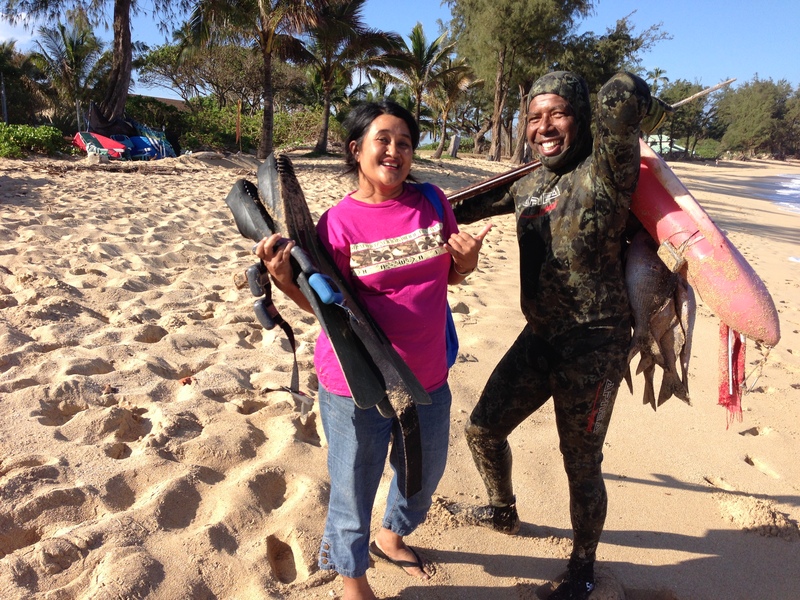 A few minutes later I met Pascal, a man in his forties wearing a wetsuit—surfboard tucked under his arm. He briefly told me how he had lived in Maui for years before he was met by Jesus, windsurfing professionally, doing drugs and partying– like so many others continue to do today. Now he’s reaching out to the surfer crowd through his ministry Eternal Riders and has started a church just off the beach. He invited me to come by the following Sunday. When I told Gracie and our friends there was interest, and that Sunday morning we visited their church. I was moved by the passion of their worship, led by Pascal’s Hawaiian wife Cece, and inspired by Pascal’s humility and authenticity. After the service I learned that he was from Quebec and that French was his first language. When he learned that we spoke French he told us about a church he was launching in Tahiti, suggesting that we should talk about joining them on one of their trips. We met for coffee a few days later and we will see where this connection leads. The next day Gracie and I were set to cook dinner for everyone, and we had decided to have fish. Since fish was very expensive in our touristy beach town, we’d decided we would need to get our fish at Costco in the larger town of Kahului, a shopping trip I was not looking forward to. 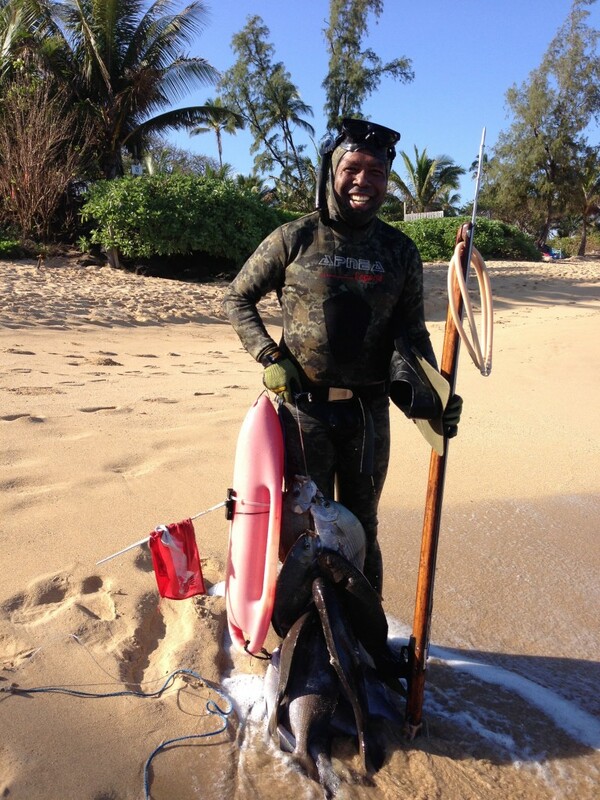 Then on our way back from a long walk on the beach we saw a native Hawaiian casting into the surf. A young woman sat on the beach with her partner’s gear, a big shiny fish laid out in front of her. We asked her where we could find a fish like that and she said we could buy it from her for $10.00. I ran back for some money and a plastic bag and we ate delicious barbequed fresh fish that night. The next day I was having some alone time, reading the Bible and praying. As I was listening to some worship music I felt a desire to head out to beach. As I worshipped and looked out at the surf I notice a man in a wet suit coming in with a spear gun, dragging a buoy. He would certainly know the kind of fish we had eaten the night before, I thought. I ran down to meet him and showed him a picture of the fish we’d eaten the night before on my phone. He told me the name of the fish, and showed me that the one’s he’d speared were the same. 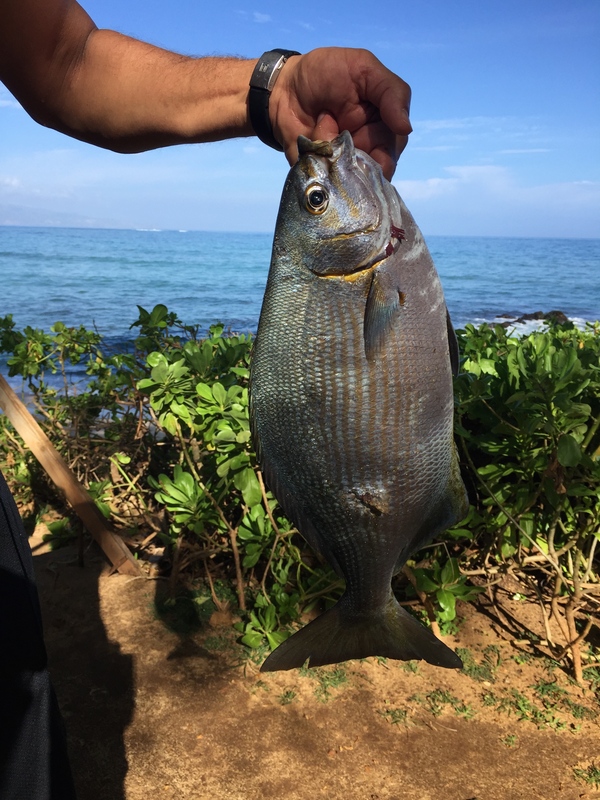 I took a picture of him with his fish (below) and he told me how he sold fresh fish he spears out of his home in Kahului. I said goodbye and headed back to our beach house. He yelled after me to come back, and I turned around to see him and a woman motioning for me to return. “Do you want a fish?” he asked. I told him I didn’t have any money, but he insisted that he wanted to give me a fish. “Are you Christians?” I asked his wife. “Born again and Spirit filled just like you are!” she responded. I was really surprised by this response as we had not talked about our faith at all. I learned that he, Elijah, is from Fuji and she, Jaqui is from Micronesia. They are missionaries who have started a church in Kahului, supporting themselves by selling the fish Elijah spears. I prayed for them there on the beach, we enjoyed another delicious fish dinner and we have exchanged emails since. I wonder where this encounter will lead, and think with new inspiration about the disciples miraculous catch on the right side of the boat as they paid attention to Jesus’ instructions. What sort of catches is Jesus preparing for us? I wonder. I want to pay attention, and look forward to future adventures, and encourage you to do the same. 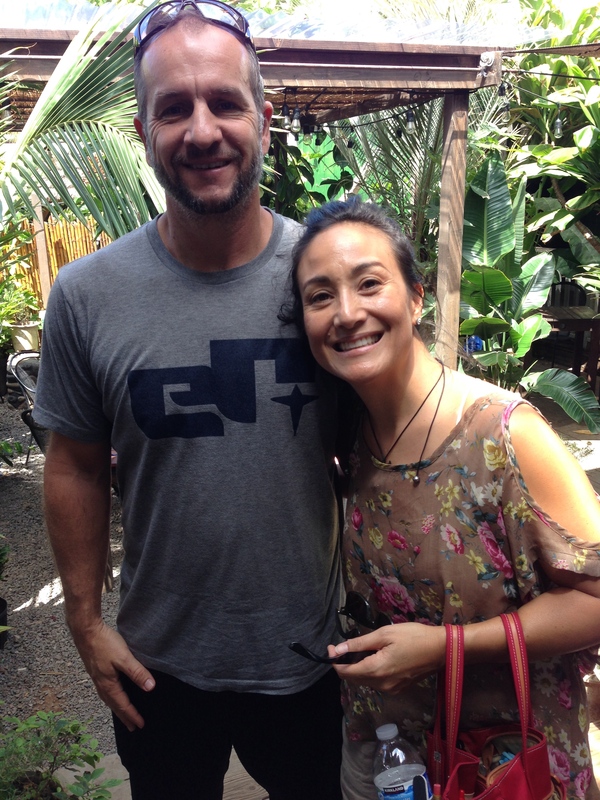 Please pray for Pascal and Cece and their ministry with Eternal Riders and church in Paia (first picture below), and for Elijah and Jacqui in their ministry in Kahului (following pictures).